It's good news again for viewers of Television because Vertant Media Launched first matrimonial TV Channel " shagun TV ". 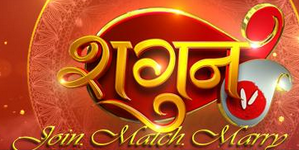 Shagun TV is a 24X7 matrimonial channel. Shagun TV to be carried nationally across north and west India, it will be distributed through direct-to-home and digital networks. you can get this channel by using your C-Band dish. here is Technical Information.